Freelance writing - Blog - Career in Writing - How to Become a Better Writer Today? 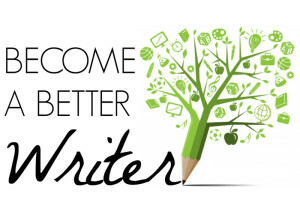 How to Become a Better Writer Today? Believe it or not, but today almost everyone can be considered a writer. Not a professional wordsmith, no, rather an amateur scribbler having to cope with certain written duties and routines during the day. Nowadays, kids and students produce tons of SMS, blog posts and twitts. Office experts deal with copious amounts of emails and paperwork. Writing has already become an inevitable part of people’s life. However, there is still a band of writers who follow the path of writing to earn living. And no office clerk or teenage kid will ever understand what’s it like to finally find a proper rhyme, what it feels to get stuck in a writer’s block for weeks, how awesome it kicks in to come up with a genuine metaphor that makes the entire piece shine… There are problems only writers by devotion understand, and there are solutions only professionals might apply. And here are a couple of them. A writer without passion is a rock, it’s useless and only takes some space to fill in. 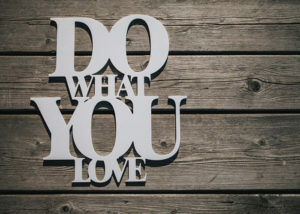 No matter how difficult it is for you to generate a page after page, you either love what you do or quit. Smart people say there are so many wonderful things in life to write about, but too many lousy writers make us not seeing these beauties. Don’t be one of such writers, make an effort to be better and deliver people emotions they seek in life. 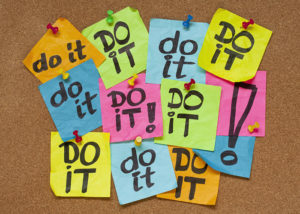 Since Renaissance (or even earlier), procrastination is known as the number one enemy of every solid writer, Steven Pressfield agrees to that. The more you hang a leg, the less time you have to deliver some decent writing. A new article or chapter in the book won’t complete itself. The only way it’s done and you get paid is you sitting down and working hard. A sound idea is to find a time of the day most appropriate for your writing efforts. Is it in the morning? Or is it after sundown? When this magic time comes, you do what? Right, sit down and write. Modern wordsmiths like Zadie Smith strongly recommended to “unplug.” It means to turn off your mobile phone and, most crucially, the internet connection. Sarah Waters would also advise you to be disciplined and consistent, but you’ve already known that, right? Everyone has a favorite spot where mind always gets clear from negativity, daily routine, and personal problems. A writer without his spot is like an F1 pilot without a race car. Hemingway has his favorite writing spot, Joanne Rowling has her favorite writing spot, you should have yours too. But before you write today’s first sentence, make sure your spot is clean and tidy. A messy workplace conceives messy thought and ideas, which is not the kind of thing your audience expects. Any written piece is a descent down a mountain river from point A to point B. You are a kayakist, and an outline is your canoe. Without an outline, you will either drown in the whirl of words or be lucky enough to make it till the water side, yet the point B will never be reached. 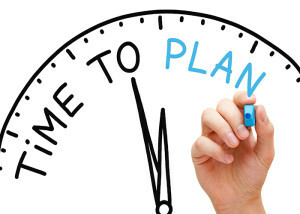 Have a good head on your shoulders, get a writing plan for every written piece you plan to produce. Be it a 200-page novel or a magazine article, an outline is must-have, unless you want to get lost in the wilderness of your own ideas and speculations. At the end of the day, Helen Dunmore would recommend you to stop writing… when you still want to continue. Well, it’ll give you a boost substantial enough to continue doing some great job tomorrow, and then the day after tomorrow until the work is ready to face your keen readership.